Well, time flies and the old MisAdventures posts haven’t been appearing on a regular basis. Not that things aren’t going on, they’re just little things that aren’t that particularly interesting. But let’s see if I can do my best to catch up on where we are – and keep our fingers crossed that I’ll have this place done this year. As was covered in a previous post on baseboards, I’m doing the same thing upstairs. 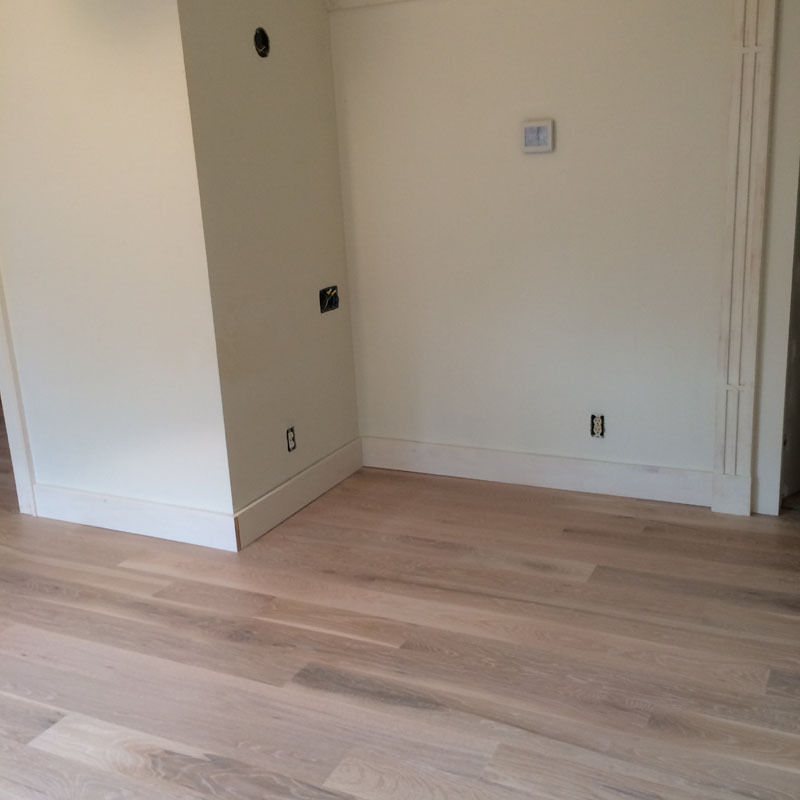 The base is laid out and scribed to the floor, then the bottom edge is contoured to match the floor surface. Since the floors are finished, I have to take the baseboards outside to trim and check again. Lot’s of exercise on this little detail. I’m still figuring out how I’m going to use these old French iron panels at the stairwell. For now they’re just clamped in place. I looked for several years to find something the right size that would go here. These French panels from the 1880’s seemed just right. The problem is these things weigh more than 100 pounds each, so they’re a little hard to maneuver. I want to get the design exact before I start lugging these things around. 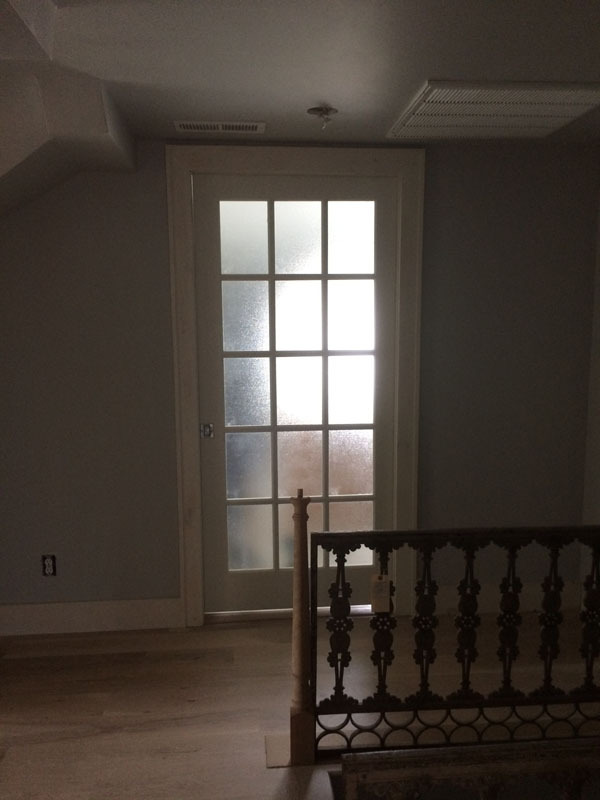 The pocket doors had to be reworked with the new floor level – something I though I had accounted for, but missed by a smidgen. All of the floors on the first level will need one more coat of floor finish before we can bring in permanent furniture. 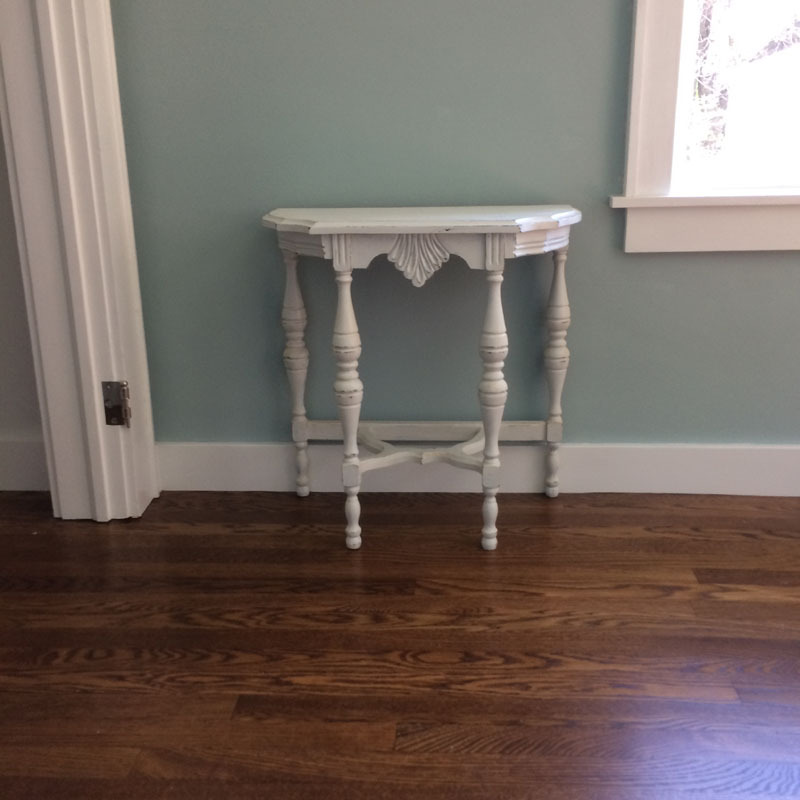 So to divert my wife I repaired and painted up this little hall table so she could pretend we had a living space here with real furniture. Another make it homey touch was to bring over some of her favorite orchids to place on the sun room bookcase. Now she understands why I put those library lamps above the windows. 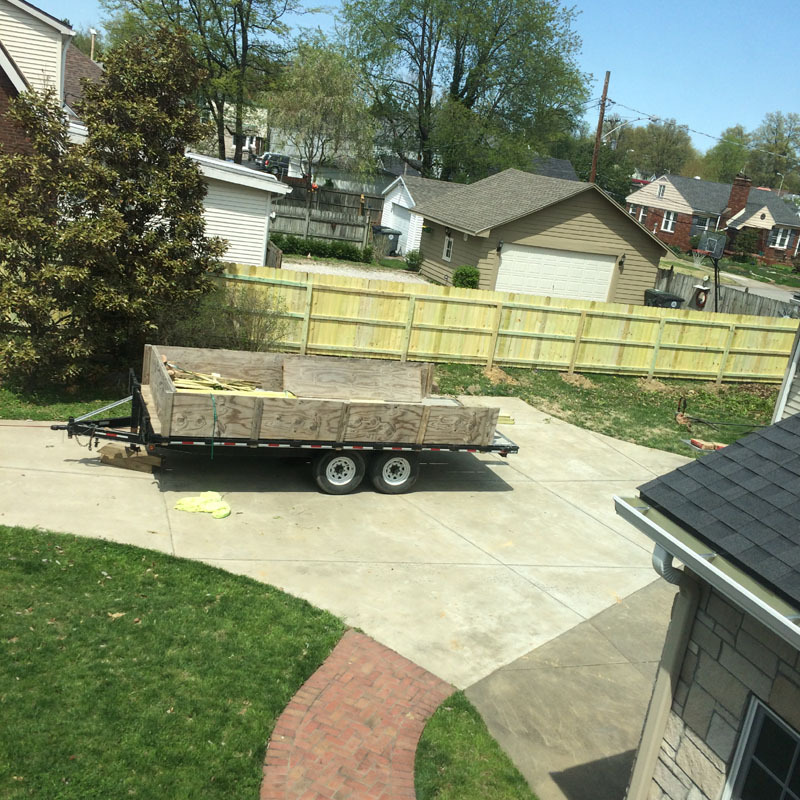 Also a new privacy fence was put in. This is a definite DIY project, but to get it done within the decade, I hired this out. My OCD and perfectionist traits were all over this fence. It serves the purpose, but not how I would have built it – but it went up in a day and that is important. I’ll fashion some small copper caps for the tops of those flush-cut posts. Since the imperfections of the fence install were on my mind, I thought I’d distract myself by putting on the last pair of door plates. 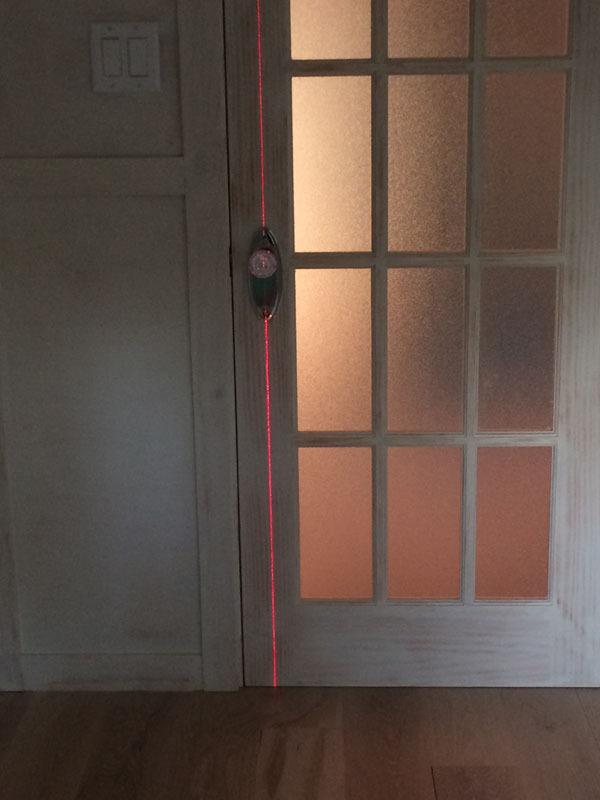 Of course I’d have to use a laser level to line up the screw holes. So the door plates are on straight and I can close the door on the Month of April, with a promise to post May’s progress by the end of June. 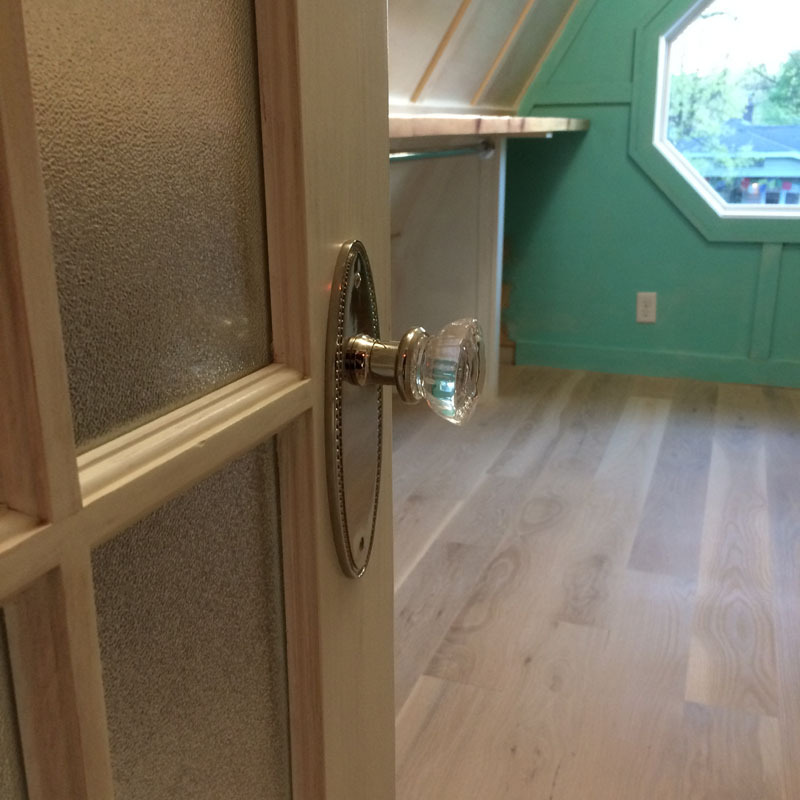 This entry was posted in Home Renovation and tagged 1930's bungalow, Antique Cast Iron, Baseboards, DIY Home, Home Renovation, Old Home Renovation, orchids, Painted Furniture, Privacy Fence, Remodeling by curt. Bookmark the permalink. Love that hall table standing on tiptoe on the polished floor! Ha, thanks D’Arcy. Yes you’re right, it does look like tiptoes. I usually don’t like to paint furniture, but the little broken table had a charm that I wanted to keep it out of the trash, so it gets a second life. Those iron panels are stunning! Thanks Koko! I hope I can get them in there permanently without bodily injury. I have no doubt you can do it. Your home is awesome! We love the French ironwork. 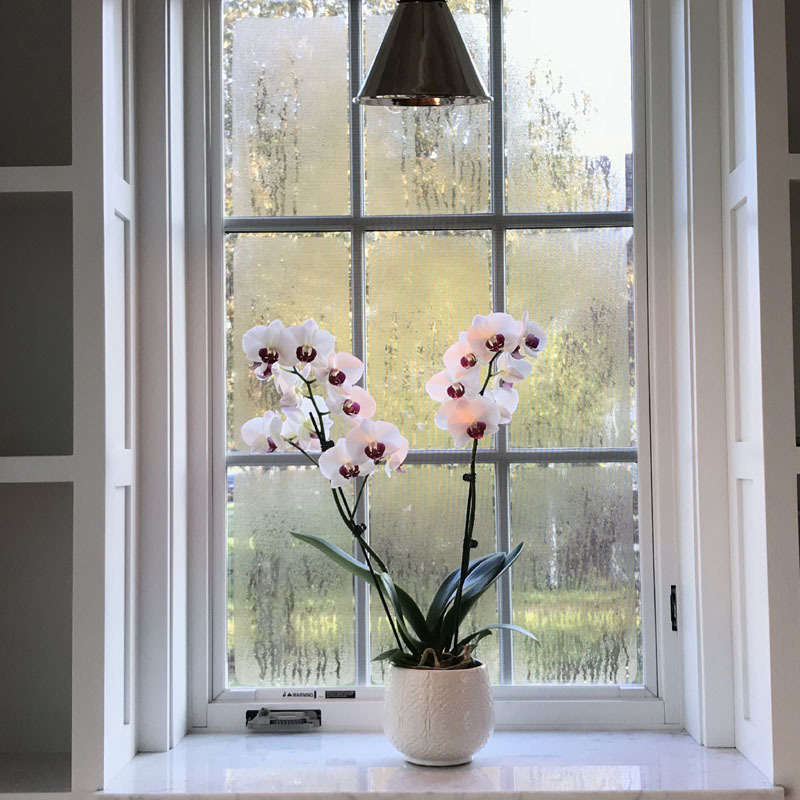 The orchid looks right at home! We also need a new fence too, I’ll be impressed if our local lot get it as straight as yours-could be worse! Making great progress as usual, it’s looking brilliant. Off topic but bought a festool domino recently, am enjoying using it, I think it’s right up your street but maybe a bit late in the project, I mean-it’s nearly finished right?!?! Hey Pete! Oh the Festool ! Now I’m “green” with envy! 😃 I still have a couple of bath vanities as cabinets to build, so that domino would be just the ticket. Post some pictures of your handiwork when you get done playing with that thing. It’s all so beautiful! 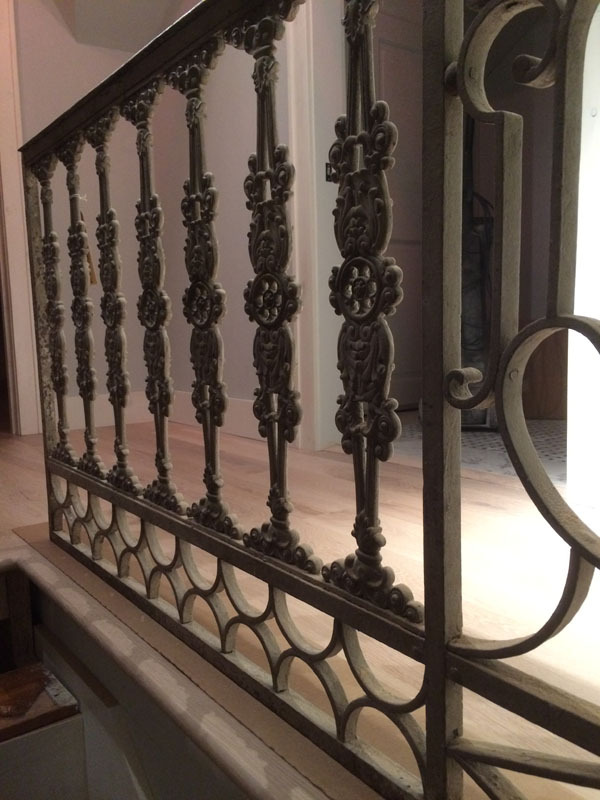 Love the french iron as stair railings! Thanks so much! We’ll see how those panels work out. The need a lot of tweaking. That’s what they say – but my old rickety body is not buying it. Panels are fabulous! I would also hire out the fence, that’s not the sort of labor I enjoy. Hi Betty! Yes, the fence – I agree, and it would have taken me weeks to do what they did in a day. 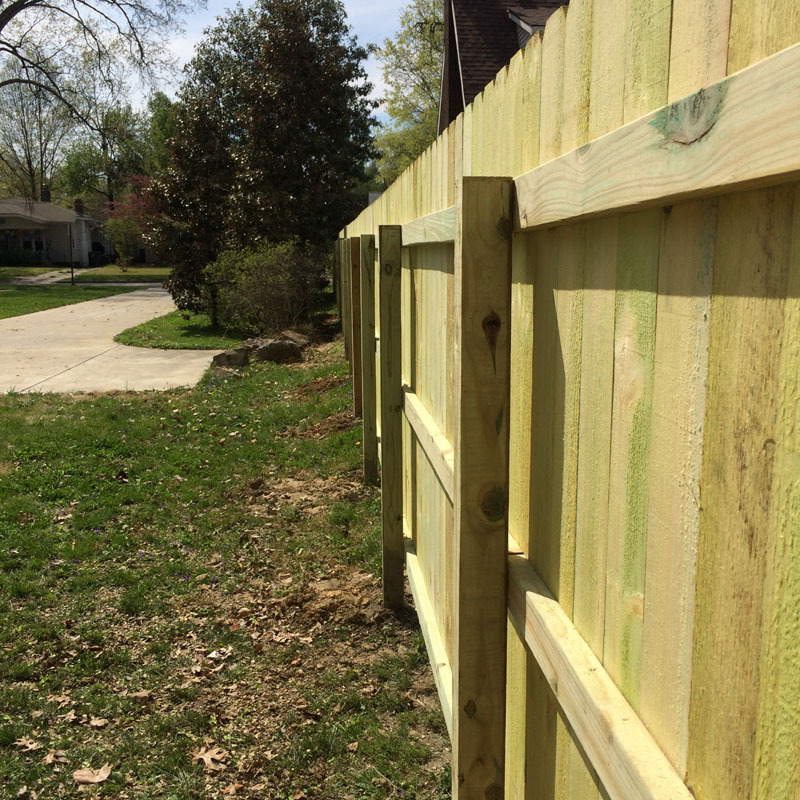 I think everyone has a tolerance for a certain type of DIY– I will do tile, install appliances, and minor plumbing and electrical; my coworker won’t do those things but she rebuilt her own fence and will youtube fixes for her cars! 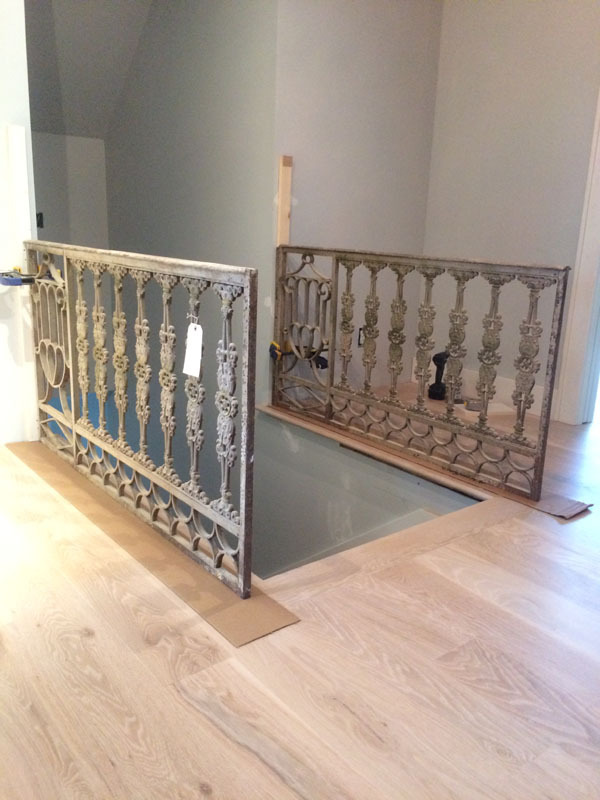 Wow Curt, those french railings are something…I know because we have similar ones too that weigh a ton!!! Looking great! Hey! If anyone know French stuff, that would be you. 🙂 I’m still working on those heavy things – hopefully they’ll find a permanent place before I smash a toe or other body part. Whether I like it or not! I have very ornate molding all over our house I am ripping down… big job! Hey Dan! Thanks for the compliment, that means a lot from the fancy Dan the home renovator. This 9+ year renovation is starting to wear me down – hopefully I’ll have enough in the tank to get those big boys in place.